Oh god. They’re here. And by ‘they’ I mean those dog sh*te dark mornings when you just want to stay wrapped up in your heavier tog duvet (yes, we’ve already upped the tog in prep for full-blown winter). But, you know what they say – summer bodies are made in winter, so I’ve been thinking about how to make sure I stay motivated to train when it’s dark and cold outside and I’d far rather be eating crumble and custard than running. So, with this in mind, I’ve pulled together a few tips to help make winter workouts a walk in the park. This covers loads of different things, but in this case, I’m talking about getting your exercise gear all set before your workout (especially for those of us who like to get a workout in before the day starts – because there’s nothing worse than scrambling around for your sports bra at 6am). Get everything laid out before you go to bed, so it’s ready for an early start, or for when you get in from work. And a little trick I like to do, especially before an early morning run, is to stick everything on the radiator, so getting out of your warm bed won’t be half as frosty. If you want to get your training done early doors, don’t put your alarm clock on the bedside table. Stick it on the on the other side of the room, so you know you’ll have to get out of bed to turn the damn thing off. Easier said that done, yes, but it actually works and once you’re up, you’re up. Most of the time we think we have to do a stupidly long workout to achieve our goals, and the truth of the matter is that shorter workouts can be just as effective. Focused HIIT sessions burn fat for hours afterwards, don’t even make a dent in your day and can be done without stepping foot outside. If you don’t have the motivation to do this in the house, try something like a Metafit class at your local leisure centre. Feel the buuurn. A lot can be said for how motivational what you wear to workout can be. I enjoy training so much more when I’m wearing some snaz leggings and a brightly coloured tee – much better than those boring old black, jersey joggers. H&M and even Primark stock good quality gear which doesn’t break the bank, so go treat yourself to a couple of new things to banish the winter blues. Trust me, it’ll help you through those chilly hill sprint sessions. 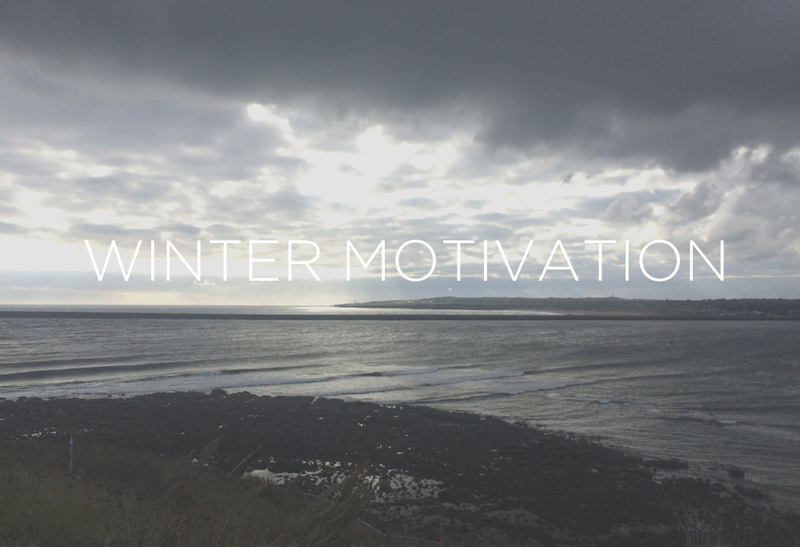 How do you stay motivated to train over Winter? Hit me up with your tips.